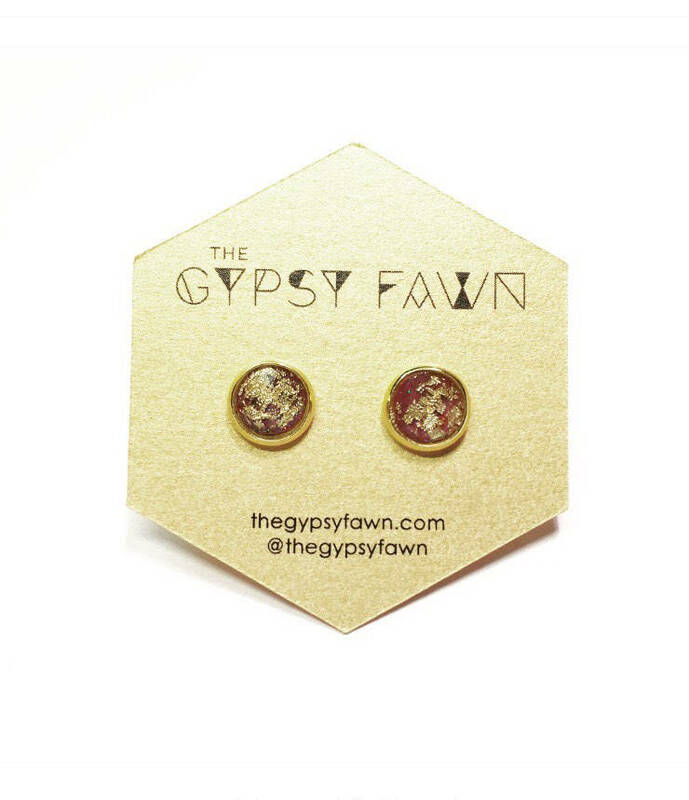 These gold flake and burgundy glitter earrings are like little galaxies in your ears! They catch the light beautifully and are perfect for everyday wear. All settings are nickel free. These earrings would be great for bridesmaid gifts and other special occasions. Feel free to message me if you don't see the quantity you need in a specific color.